192pp, illust. (b&w). 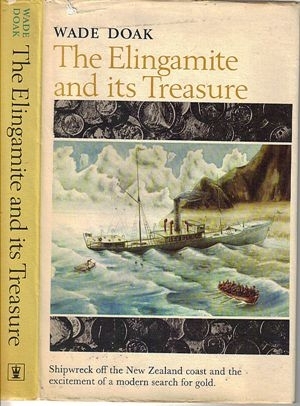 The passenger steamer Elingamite was wrecked on the Three Kings Islands in 1902 with a cargo of gold and silver. The story of the wreck, it's rediscovery and salvage, by one of the dive team who salvaged it. Clean & tidy book. D/w chipped at edges, 1 small tear on top edge of front.